Wensum Valley Hotel and Golf Club01603 261012work01603 261664fax HotelWensum Valley Hotel offers the ideal accommodation for guests looking for a relaxing break, either away on business or wanting to enjoy the shopping and nightlife of the historic city of Norwich. The hotel offers 90 en-suite bedrooms all with direct dial telephones, a television and tea/coffee making facilities. Guests are free to take advantage of our excellent leisure and golf facilities including our fully equipped gym, indoor swimming pool, sauna, steam room and Jacuzzi. 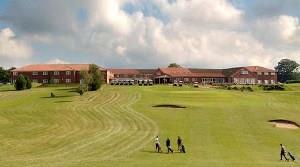 The hotel offers two 18-hole golf courses, a putting green & a 12 bay floodlit driving range all set in 250 acres of the beautiful Norfolk countryside. Both courses have been created on free-draining soil so they are playable even in wet conditions. Our hospitality team take great pride in the high standards of food and service provided to all guests of Wensum Valley Hotel. All dishes are freshly cooked to order by our dedicated and talented chefs, using fresh, local ingredients. Our well stocked bars are manned by friendly staff and guests can choose between a relaxing evening in the comfortable lounge area or playing snooker on the full sized tables available. Our purpose-built Conference & Meeting Centre can cater for a whole range of business meetings, conferences, training sessions and exhibitions. We have two main conference suites and four meeting rooms each offering something different, which means that we can accommodate 2 to 180 delegates. Our complex also boasts a range of function rooms and packages and holds a licence for weddings and civil ceremonies. Our fantastic rooms and packages coupled with the stunning views across the Wensum Valley make this the perfect venue for your wedding or function in Norfolk. Wensum Valley Hotel offers the ideal accommodation for guests looking for a relaxing break, either away on business or wanting to enjoy the shopping and nightlife of the historic city of Norwich. The hotel offers 90 en-suite bedrooms all with direct dial telephones, a television and tea/coffee making facilities. 24hr Reception Children welcome from any age. Arriving by car take the A1067 Fakenham Road from the Norwich Ring Road. Just through the Village of Taverham, we are indicated by brown tourist information signs. From Norwich - 6 miles. Number 28 or 29 bus available from city centre.